This Saturday! An event for all the family. Join Igor and friends — including Scotland’s first superhero, Saltire — for a family-friendly day of hands-on Science experiments, feverish face-painting and monstrous mask-making. 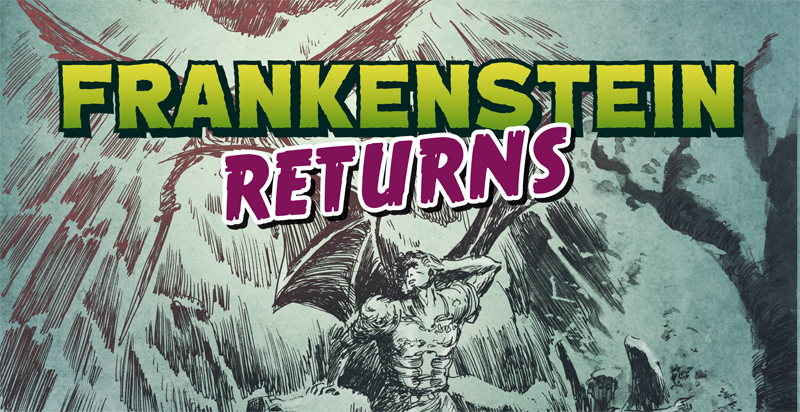 There will be also regularly scheduled talks on Mary Shelley, the mother of Science Fiction, and on the comic book tradition. Why not take home a special “Frankenstein me!” caricature of your own little monsters to keep? To mark the occasion “Franken-selfies” are a must! Themed snacks and baked goods will also be on sale. Oh, and feel free to dress up (you, too, mums and dads); after all, it is Halloween, the funnest day of the year. We’re pleased to confirm that the Dundee Science Centre will knock off 25% of the price of admission for those in fancy dress. Families, students, superheroes and monsters… FUN FOR ALL! The Fun Day launches a series of events collectively entitled “Mary Shelley’s Dundee”, which will be hosted by the School of Humanities at the University of Dundee during the nationwide Being Human Festival of the Humanities (12-22 November). Other events include two “Dead Dundee” walking tours, a “Ghost Writing” evening at Braes, a comic exhibition and workshop at The McManus, a comic-based play at The Little Theatre, and more. Funded by the Arts and Humanities Research Council, the Dundee series of events will celebrate the author of Frankenstein (1818), Mary Shelley, who spent considerable time in Dundee during her teenage years. See the Superheroes vs Monsters Facebook page for details. 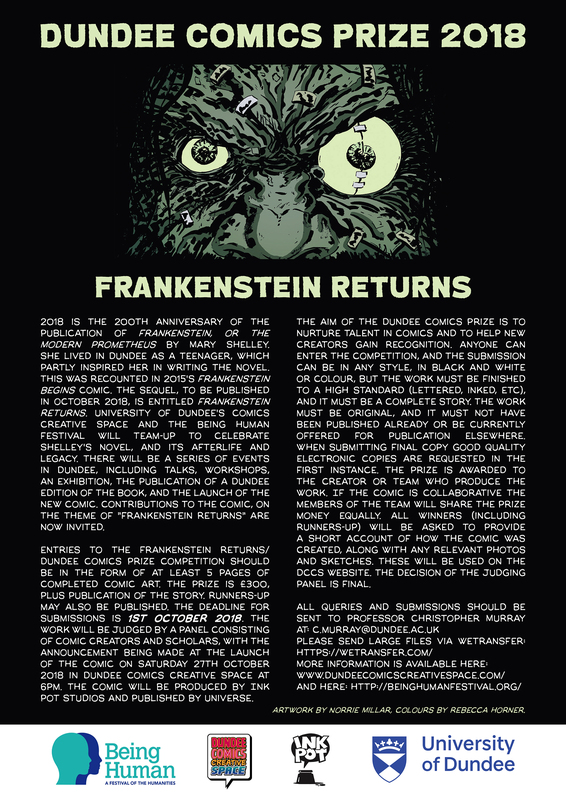 Posted on October 27, 2015 by dundeecomicscsPosted in EventsTagged dundee, frankenstein, mary shelley, monsters, science, superheroes.